Share the post "Interview: Certified Dog Trainer, Holly Lewis"
Recently 8PawsUp.com had an opportunity to meet with Holly Lewis, Certified Professional Dog Trainer (CPDT-KA), owner and operator of Cold Nose Dog Training in Milwaukee, Wisconsin. Holly is one of my “go to” trainers and has worked with many families on understanding what works and what doesn’t work when training large breed pups. Holly has been at this business for a while and for her it is truly a passion. Holly spent the better part of her life in Corporate America. The skills she honed there serve her well in the dog training world, such as presenting and teaching to diverse groups of people and identifying solutions to complex problems. Many readers and their dogs haven’t worked directly with a trainer while some may have used a trainer along with other obedience tools. Holly met with me to answer some basic questions about puppy training, dog obedience and training large breed dogs such as Labrador Retrievers, as well. So let’s share that doggy wisdom with you now! 8PawsUp: What don’t most people understand about large breed dogs? Holly: Big dogs can have different needs than small dogs. Due to their size, injury is a real risk. Keeping your dog in top physical shape, including a healthy weight, will help protect them from injury. Exercise Induced Collapse is more common in larger breeds as are knee injuries. When a large breed dog is a puppy, it can be cute when they jump on or mouth a person. However, they soon will become a full size dog where cute puppy habits may not be as adorable. Teaching your large breed dog polite manners as a puppy will help set them up for success as they continue to mature. Manners will also endear your dog to strangers and others he may encounter. I am an advocate of being aware of a dog’s breed or breed mix and how that may factor into their behavior. People are often surprised their lab is mouthy. Looking back to its roots, a lab naturally works with its mouth. Instead of “training it out of them,” look at how to work with the instinct, such as teaching the dog to carry a toy or bumper to occupy their mouth. 8PawsUp: What is the key tool or method in effectively training a dog? Holly: It is important to reward the behavior you would like to be repeated and ignore the behavior you don’t want to be repeated. If something is not reinforced (does not receive attention), it is less likely to be repeated. If a behavior is rewarded, it will be repeated! It shows the dog what the “right” behavior is instead of focusing on the less desirable. 8PawsUp: What is the biggest misconception about dog training? Holly: The biggest misconception I hear from people is the need for dominance/alpha/pack leader in dog training. The study this theory is based on, involving wolves, dates back to the 1970’s. Since that time, the study has been invalidated and shown to be inaccurate. Modern training methods are not only scientifically proven but are much more humane and safe. We help our dogs by setting and teaching rules and limits. We do not need dominance to achieve this. This is demonstrated with police dogs, drug sniffing dogs, bomb detecting dogs, hunting dogs and more who are all trained with non-force methods. 8PawsUp: What are your views on negative reinforcement methods? Do you agree with spray collars and even shock collars? Holly: I disagree with negative reinforcement methods. I am not saying they will not work, however they work out of fear, which is more likely to bring forward aggression and other serious behavior concerns. I train based upon trust and building a relationship with my dog. Shock collars work using pain and fear. I have seen many dogs present with behavior issues as a result of shock collars. Spray collars are also an aversive, again creating fear, which can be problematic. I also do not recommend choke chains or prong collars. There are many effective & humane tools and methods to avoid using harsh items. 8PawsUp: Is it almost as difficult to train the owner as the dog? Holly: Sometimes it can be harder to work with owners as they come with preconceived notions about how training should be and how to achieve the outcomes needed. In training, I am really teaching the owners the best way to get the response they would like from their dog. The owners actually train their dog. 8PawsUp: Is it possible for a dog not to learn? Is there any breed more difficult? Holly: Any dog can learn. We simply need to determine their motivation and what will be rewarding from their perspective. We also need to be able to break the task down into small enough steps to achieve a successful outcome. Some breeds may be perceived as being more difficult to train. However, it goes back to determining the dog’s motivator and tailoring the training to work with the dog. The training is also based upon the desired end result. 8PawsUp: Can you tell us the benefits that dog training classes have for Labrador Retrievers as opposed to training your dog yourself at home? Holly: Classes provide a great opportunity to have a professional help owners refine their skills and provide a structured plan of learning. Classes help set aside time to work with our dog to achieve the skills we want and build our relationship. Many professional trainers, including myself, attend classes with our dogs for the added benefits. 8PawsUp: If you could give five tips when it comes to methods to stop a dog barking what are they? Remove the stimuli or access to stimuli which causes the bark. Redirect the dog away from the stimulus. 8PawsUp: What are your top tips when it comes to stopping your dog from peeing around the house? Holly: If house-training is unreliable, it is most important never to leave your dog unattended. Even if you have an adult dog, work on housetraining as if he’s a puppy. I have even gone so far as setting a timer to remind me to let a dog outside. Be sure to offer loads of praise when your dog takes care of their business outside. If mishaps happen inside, do not make a big deal of it. Simply clean it up thoroughly and start from the beginning. 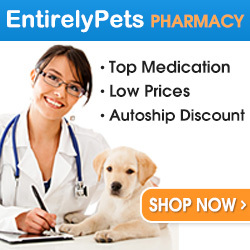 If problems persist, be sure to get a full medical check from your veterinarian to rule out any medical issue. 8PawsUp: What are the most important things to remember when training Labrador Retrievers? 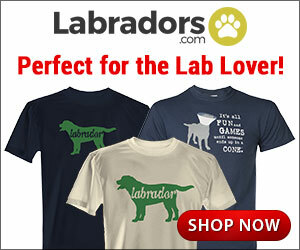 8PawsUp: Do you have any advice to give to someone who might want to buy a Labrador Retriever puppy? Holly: When buying any puppy, it is critical to do your research. Are you ready to handle the energy and size of a lab? Ready to handle the potential challenges a lab may pose such as mouthiness, chewing and jumping? Our society has a strong stereotype of Labs, but not all characteristics hold true for each dog. For instance, many labs are easy going, fantastic family dogs, but some are not suited to families with small children due to their size and energy. The dog (insert breed) we remember growing up may not be the lab we adopt today. Where are the dogs kept? How are the puppies socialized? How do you assure the pup is exposed to new things in a positive manner and in what frequency? What health tests do you conduct to assure health? Are you able to meet both parents? Consider if a puppy is right for you, or if you could open your home to an adult dog? There are many quality Lab rescues offering dogs which are healthy of all different ages. Rescue dogs do not all come with heavy baggage. Dogs are in rescue for many different reasons. Adopting a rescue dog is a rewarding experience! Most rescues or shelters can tell you a lot of information regarding the dog’s temperament, likes/dislikes, energy level and more. Positive, non-forced based training with your dog will be a rewarding experience for both you and your dog.